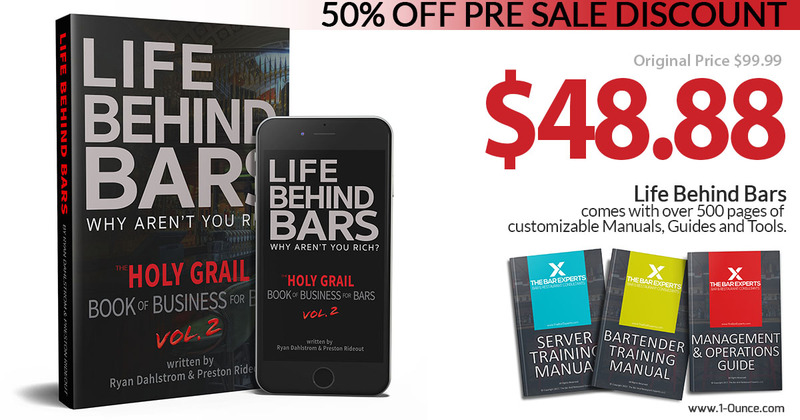 LIFE BEHIND BARS COMES WITH OVER 500 PAGES OF DOWNLOADABLE AND CUSTOMIZABLE TOOLS AND GUIDES. Here is an example of just one of the Manuals you get to download and customize as your own, with every purchased copy of Life Behind Bars. 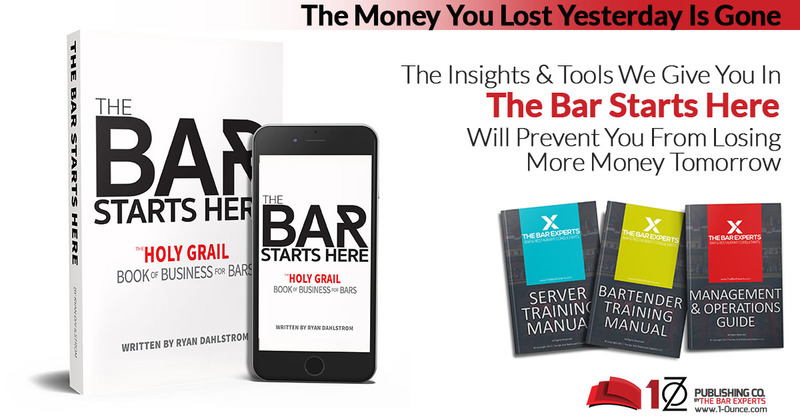 Ryan Dahlstrom is the Author of The Bar Starts Here, that has landed him on 3 different Best Selling Author lists. The National Restaurant Association estimated that food and drink sales in U.S. bars and taverns would reach 19.9 billion U.S. dollars in 2016. This is a relatively small figure in comparison to the wider restaurant industry, for which food and drink sales were expected to rise to approximately 783 billion U.S. dollars during the same year. More than 195 million U.S. consumers visited a sit-down restaurant in the spring of 2016. In 2016, there were a reported 63,305 Bars, Taverns and Nightclubs in the U.S. So why aren’t there 10’s of thousands of multi millionaire Bar, Restaurant and Nightclub owners out there? Recognized as of the industries leading consulting firms for Bars, Restaurants, Nightclubs and Hotels across the globe, we have found that the majority of our clients are having a lot of the same issues. We understand that every company and every situation is different and there are no one size fits all answers. However if you can’t answer these following 5 questions without hesitation and 100% accuracy, purchasing Life Behind Bars is going to prove to be one the best decisions you have ever made in your career. •	What are your true direct and indirect operating costs? •	How much money are you actually making? •	Where exactly is all of your revenue going? •	Can your team operate your business without you? •	How much potential revenue are you leaving on the table? 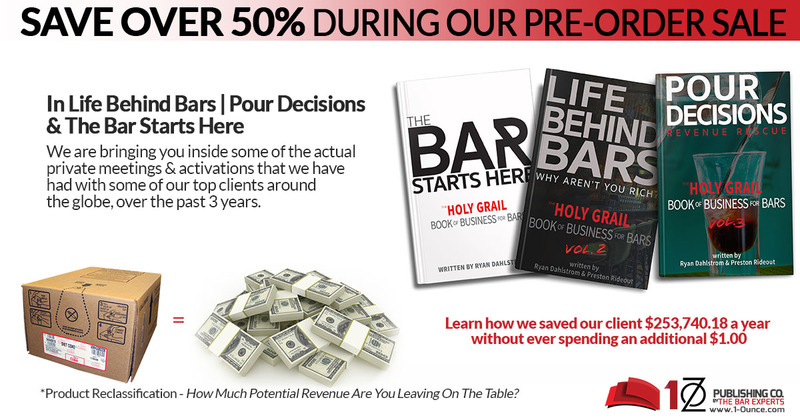 Within these 5 chapters of Life Behind Bars, we are not only going to walk you though how The Bar and Restaurant Experts, conquer these real life restaurant and bar problems. We are also providing you with access to over 500 pages of the industries most actionable and customizable tools, manuals and guides, that until now have only been available to major chains, franchises and a few of the most elite professionals in our industry.